As one part of my docotoral thesis, I have made the video that shows the relationship between ‘London End Austerity Now’ Protest on 20thJune 2015 and the Twitter acitivity on that day. 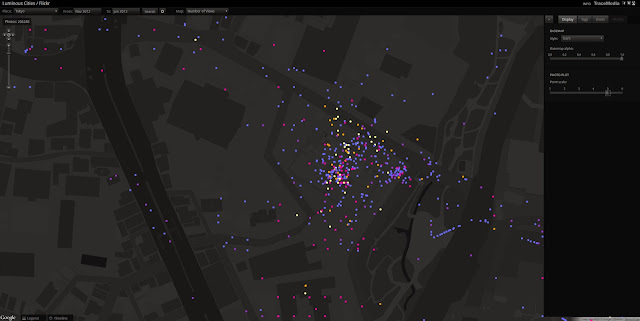 The video gives you some details about the protest, the data and 3D visualisation. If the following YouTube video is not displayed on your device, please use this link. Twitter Mapping is increasingly useful method to link virtual activities and geographical space. 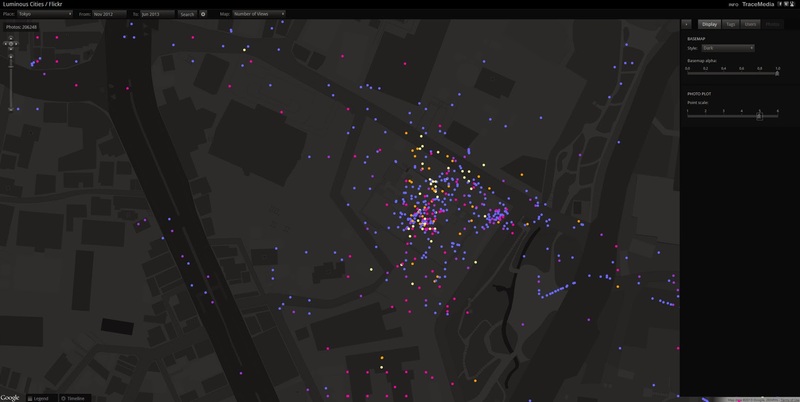 Geo-tagged data attached to tweets containing the users’ location where they tweeted and it can visualise the locations of users on the map. 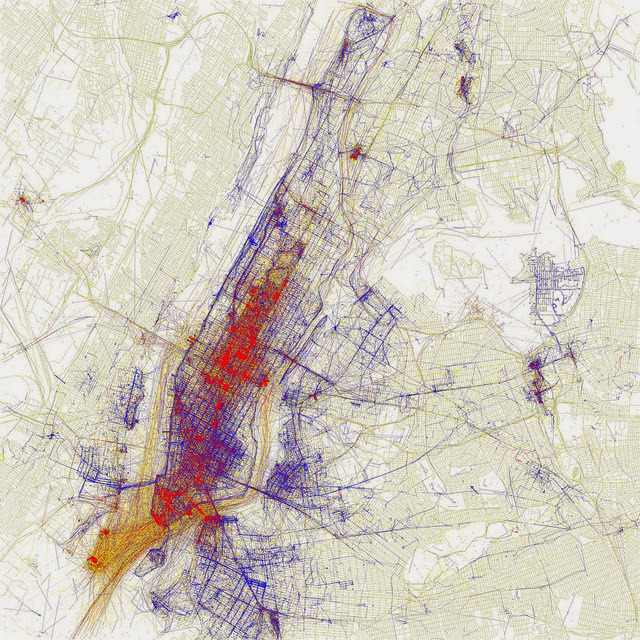 Although the number of the geo-taggedtweets is a relatively small portion of all tweets, we can figure out the density, spatial patterns and other invisible relationships between online and offline. 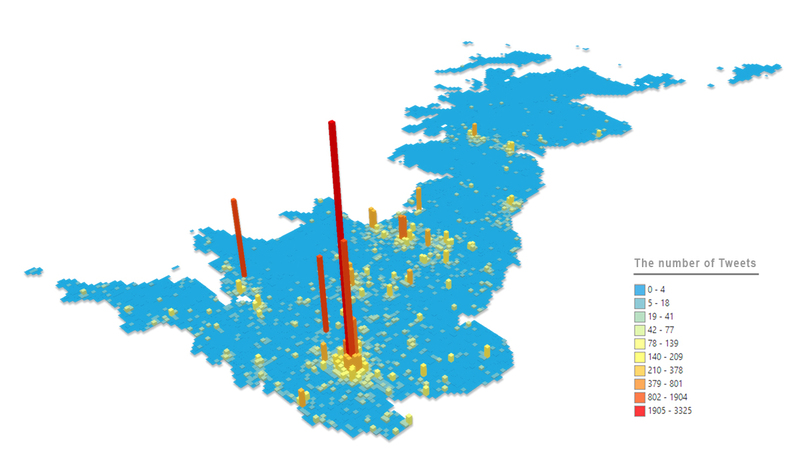 Recently, studies with geo-tagged tweets have been developed to analyse the public response tospecific urban events, natural disasters and regional characteristics (Li et al., 2013) . 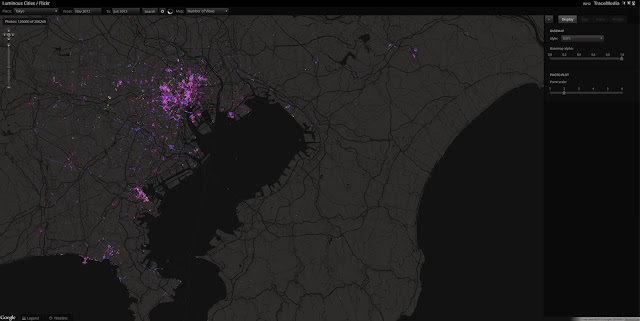 Furthermore, it is extending to traditional urban research topics, for example, revealing spatial segregation and inequality in cities (Shelton et al., 2015) . 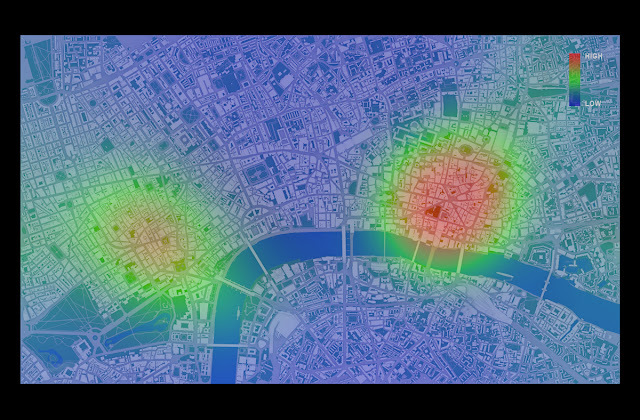 Twitter mapping in 3D can augment 2d visualisation by providing built environment contexts and improved information. 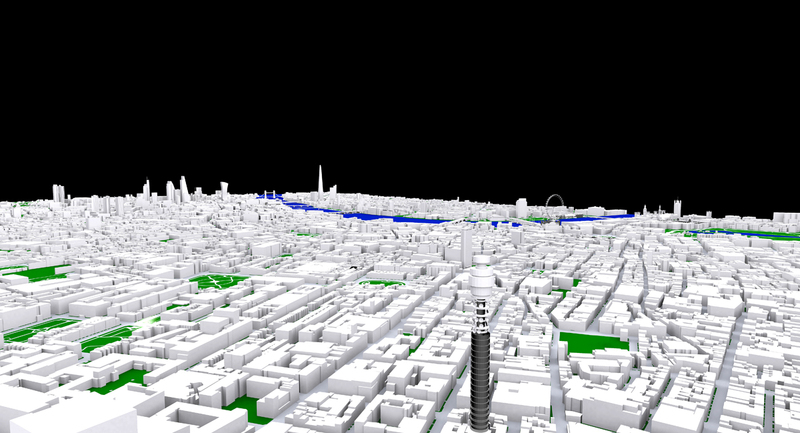 There are many examples of Twitter mapping in 3d such as A) #interactive/Andes  , B) London’s Twitter Island , C) Mapping London in real time, using Tweets . A) and B) build up 3d mountains of the geo-tagged tweet on the map. 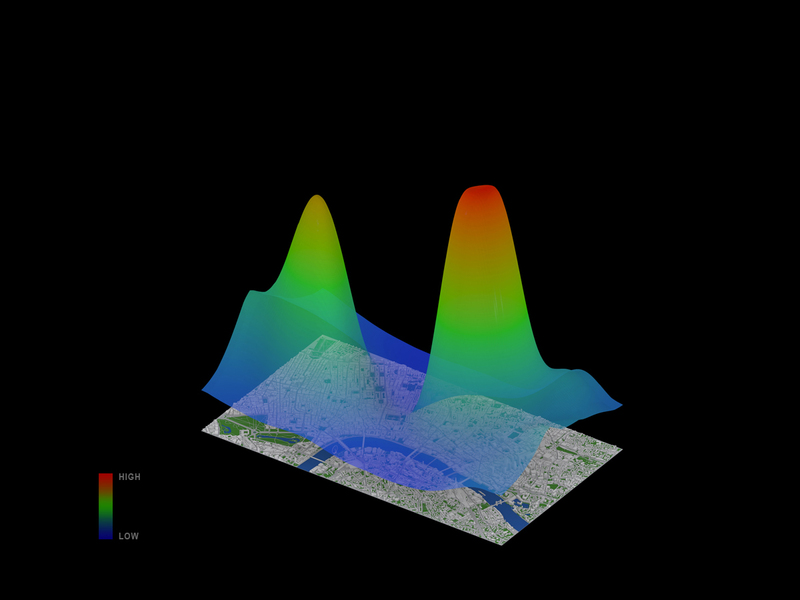 In the case of C), when the geo-tagged tweets are sent in the city, the heights of nearest buildings increase in the 3d model. These examples are creative and show different ways to view the integrated environments. From a Networking City’s view, if we make a Twitter visualisation more tangible in a 3d urban model, it would help us to have a better understanding how urban environments are interconnected with the invisible media flow. To make the visualisation, the Twitter data has been collected by using Big Data Toolkit developed by Steven Gray at CASA, UCL. 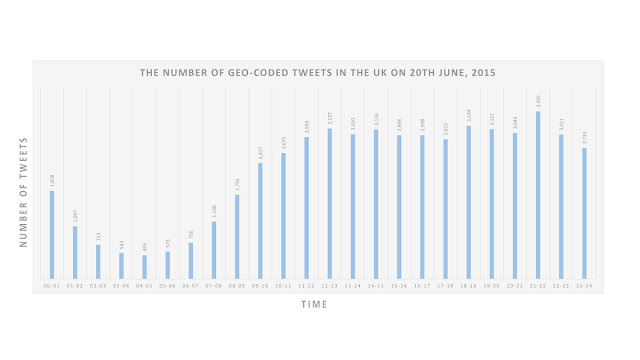 All 53,750 geo-tagged tweets are collected on 20thJune, 2015 across the UK. As we can see from Table 1, the number of tweets was at the lowest point at 5am and reached to the highest point at 10pm with 3495 tweets. 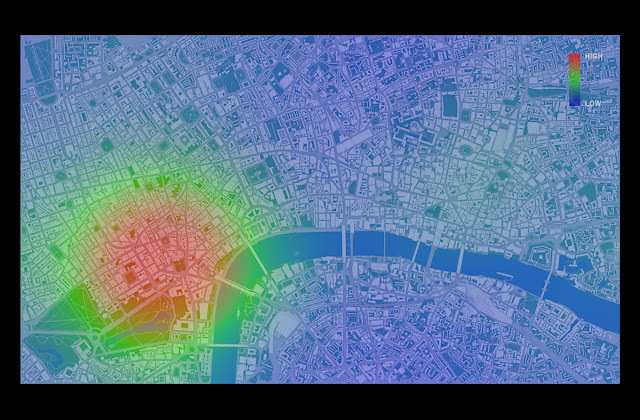 Moreover, Video 1 shows the location of the data in the UK and London on that day in real time. In order to focus on the high density data, 6 km x 3.5 km area of Central London is chosen for the 3d model. 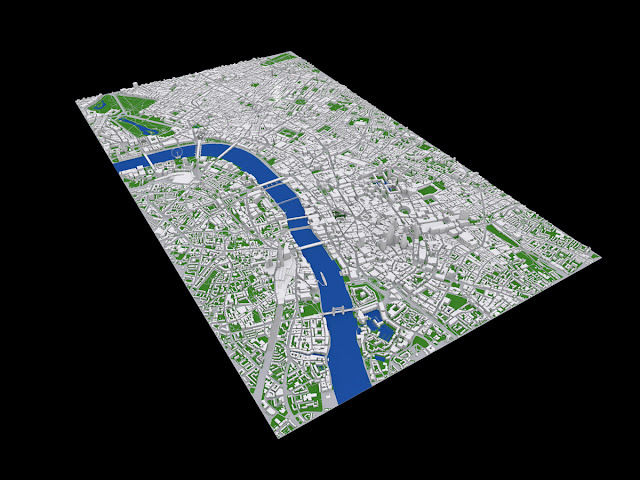 Buildings, bridges, roads and other natural environments of the part of London have been set in the model based on OS Building Heights data. Some Google 3d warehouse buildings are added to represent important landmark buildings like St.Pauls, London Eye and Tower Bridge as you can see from Image 3, Image 4 and Image 5. As we’ve seen above, the 2d mapping is useful to understand the relative density in one period such as which area is high and which area is low between 12pm and 1pm. However, we cannot understand the degree of intensity in the highest peak areas. It is believed that 3d mapping is needed at this stage. We can clearly see the density of the tweet data in each periodand the intensity of the tweet density across the time periods from Image 10 to Image 14. 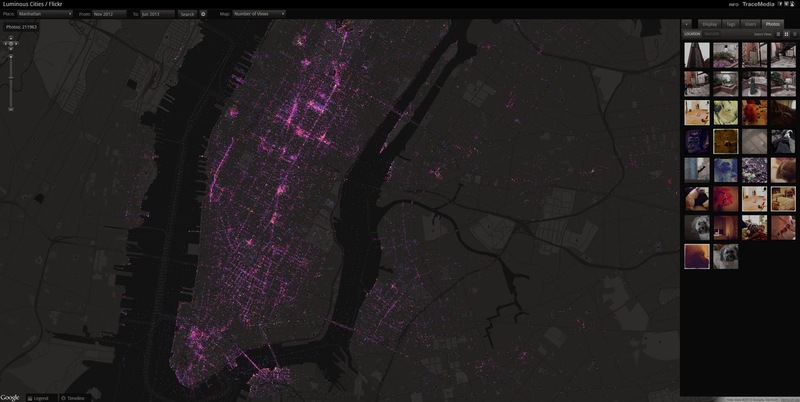 West End area shows high density throughout the whole day but City area shows the peak only during lunch time. 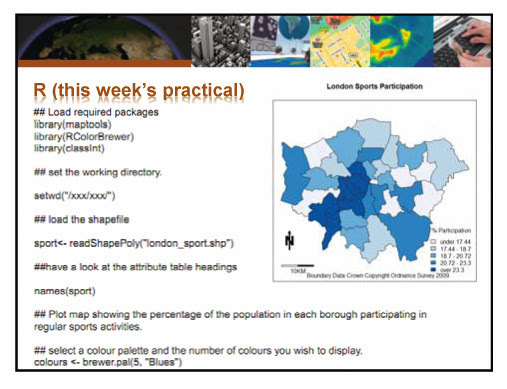 This pattern likely relates to the activities of office workers in City and leisure/tourist in West End. 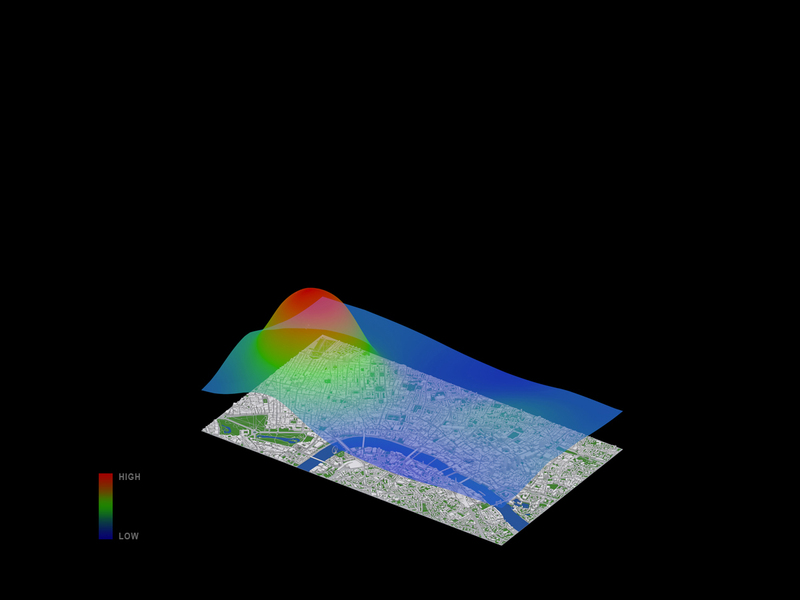 The Roman Road network 410AC, as a floating layer over contemporary London in 3D. How did London become what it is today? How did it evolve and why? It is widely known that London is a historical city. One that has been inhabited for over 1500 years. What most people don’t know however, is that the greatest preserved feature of the city, is the road network itself. Unlike other historical cities such as Athens or Rome where there is an obvious patchwork of areas of different periods, London’s scheduled sites and listed buildings are individual structures, in many cases assembled gradually by parts from many different periods. Those who tried to locate different historic structures will know that these features appear as pieces of different puzzles, scattered within the vast fabric of the contemporary city. What has been preserved, and what will we preserve in the future? The London Evolution Animation (LEA) was developed by The Bartlett Centre for Advanced Spatial Analysis (UCL), as a partnership project between English Heritage, The Centre for Smart Infrastructure and Construction (University of Cambridge)/Dr Kiril Stanilov and Museum of London Archaeology (MOLA) (with the Mapping London and Locating London’s Past projects), and was initiated and directed by Polly Hudson (PHD). The London Evolution Animation for the first time, brings together and shows the historical development of London from Roman times to today, through the evolution of the road network and preserved structures of the built environment. The information is categorized by periods and the new road segments appear gradually over an image of the faded contemporary London. For each period, gradually enlarging yellow points highlight the position and number of statutorily protected buildings and structures. 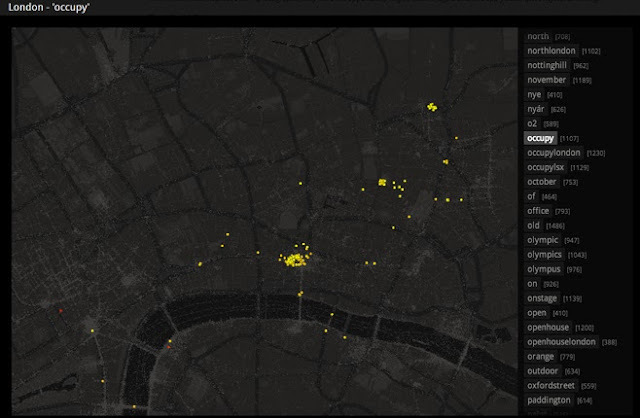 Datasets cover London’s 19,000 Listed Buildings and 156 Scheduled Monuments which are categorized by period (listed date) and integrated into the animation. 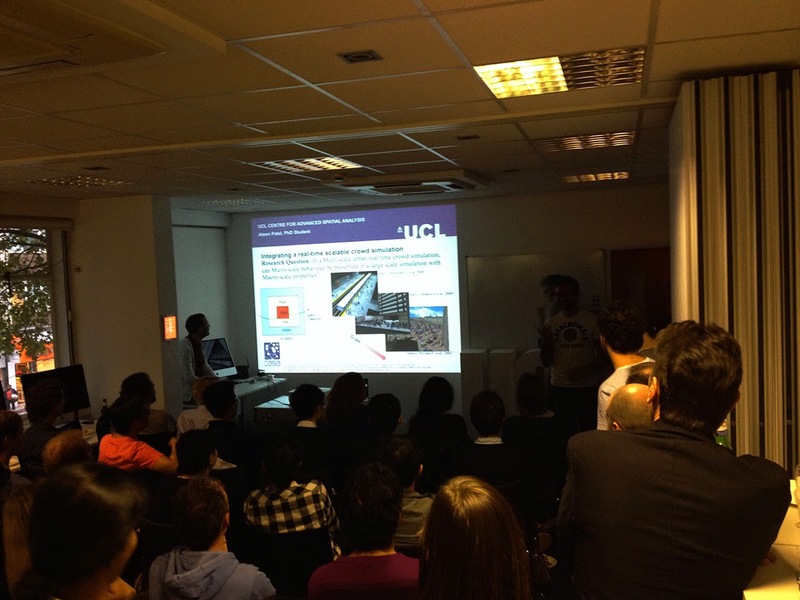 LEA brings together datasets provided by English Heritage’s National Heritage List for England, MOLAS, University of Cambridge -Dr. Kiril Stanilov and Ordnance Survey. Originally, LEA was meant to be developed fully in 3D, which is an ongoing project. The animation was part of the “Almost Lost” Exhibition and aims to create awareness of the importance of preservation of the city’s past and provide a reflection for the future. The exhibition included several digital exhibits from the Centre of Advanced Spatial Analysis, such as the popular Pigeon Sim and the Bloomsbury Augmented Reality Application, which allows visitors to view a 3D fully interactive model of the area’s historic periods, using their iPad. 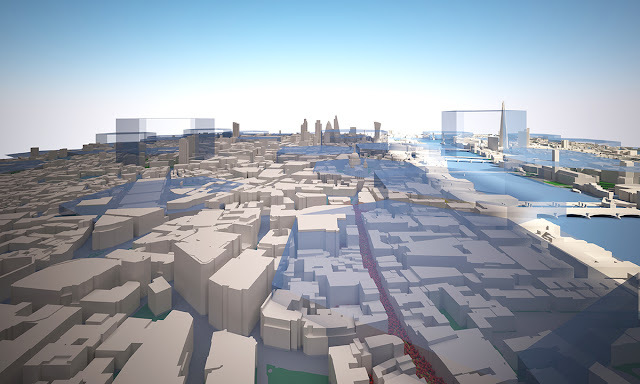 A series of digital pictures showcase the what if scenarios of developments in London that were never realized, while 3D animations of London’s history of the built environment explain more about the city’s architectural heritage. The exhibition is found online in Polly’s Hudson Almost Lost online and its a great showcase of London’s historic wealth. Further information on the Animation, a historical overview and on the production of the video can also be found in Polly’s Hudson website. 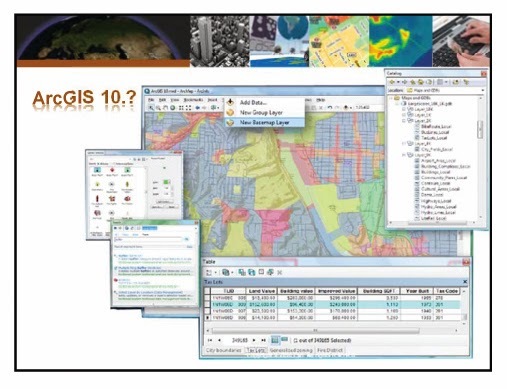 The second lecture of GIS comprised mainly three parts, the examples of practical research by using GIS, GIS software and the way to gain relevant data for the research. In the last part, he said of various kinds of the data and the way of gathering the data which is the key element to proceed the research. Easily, we can classify the data according to the way of gathering. On the one hand, we can use the open data, which are provided by public sectors and other organisations. On the other hand, we need to collect the data through participation and measuring by ourselves. 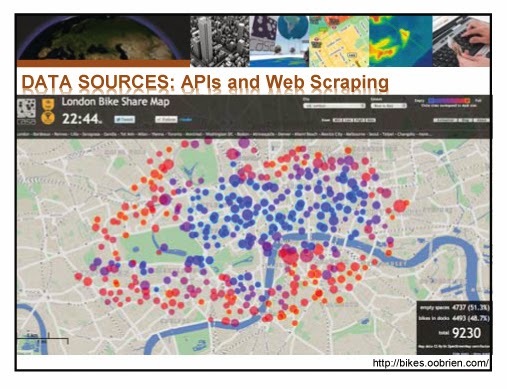 Some websites of the UK, which contain the open data or shapefiles, and the characteristics of each website were mentioned. 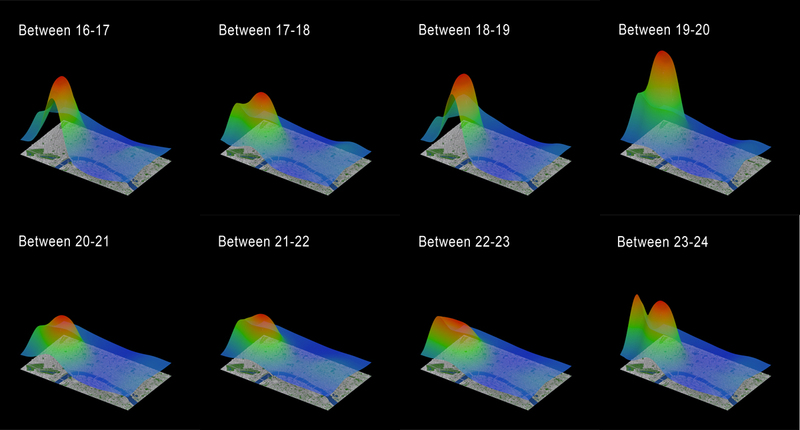 As we can see Image 3, some other methods like WebScarping and Volunteered Geographic Information were shown as alternative ways to collect the data by ourselves, when the given data are unclear, and the goal of the research needs the specific data. 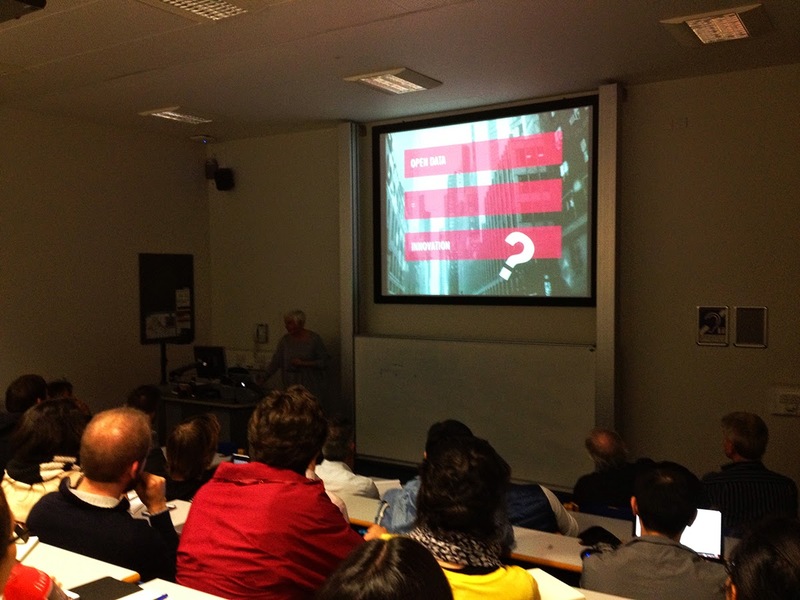 The lecture was finished with the emphasis on caution when using the open data and the mapping with it. Much of the data are made with inadequate formats like pdf, or do not include any spatial reference, so we need to be careful to collect and use the data. When it came to the mapping with the data, he insisted that it is necessary to make analytical and meaningful maps rather than something fancy or colourful. In addition, it is essential to acknowledge that some errors could be made by way of ‘generalisation’ in the process of research, therefore, setting up the range and the level of the research will enrich the quality of it. 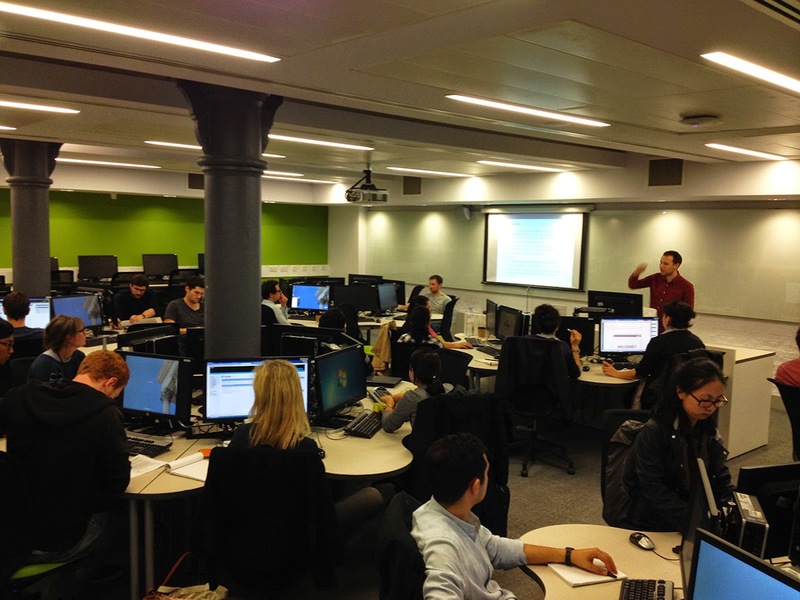 From this academic term, Networking City is doing a teaching assistant role for ‘GEOGRAPHIC INFORMATION SYSTEMS AND SCIENCE’ course which is set up by CASA for their provocative master programme ‘MResAdvanced Spatial Analysis & Visualisation’ and Bartlett students. In this year, the course is opened to Urban Planning and DPU students of Bartlett, so thirty students registered, while fifteen students who were mostly from the CASA had an opportunity last year. 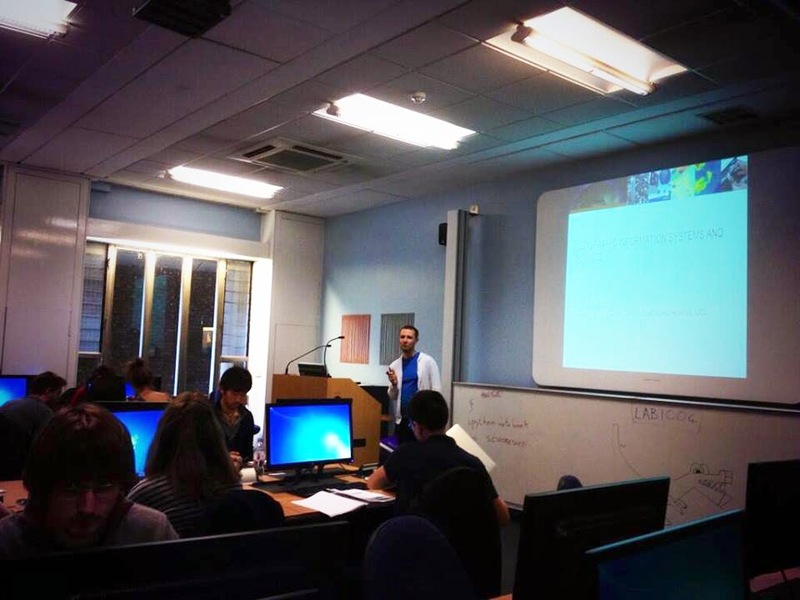 Dr. Adam Dennett, the lecturer, briefly showed the outline of the course and explained the meaning of studying spatial analysis, definition of Geographic Information System, linkage between GIS and scientific research, the difference between GISystems and GIScience, and short history of GIS. During one hour his lecture, the most impressive part was what the meaning of information is in Geography and Urban studies, and how it can make an impact on decision making process. 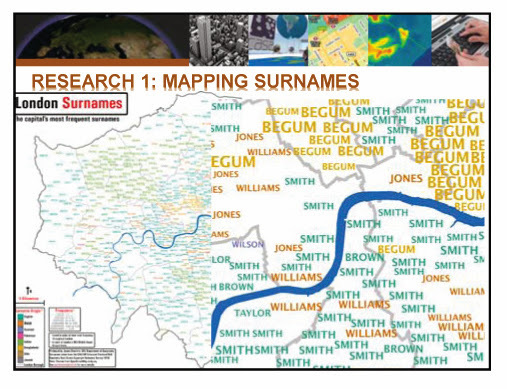 When he illustrated the structure of how one spatial data could be developed to information, knowledge and wisdom, and could be the initial point which change our environments, he emphasised not to make a graphic image by GIS programmes but to consider the meaning behind the data. After the lecture, the students had two-hour practical session. They operated the main programmes of the course: Arc-GIS, QGIS and R on UCL computers, and checked how they can set up the programmes on their own laptops. In order to learn basic knowledge and functions of Arc-GIS, Adam recommended registering My Virtual CampusTraining on ESRI homepage and complete its modules. 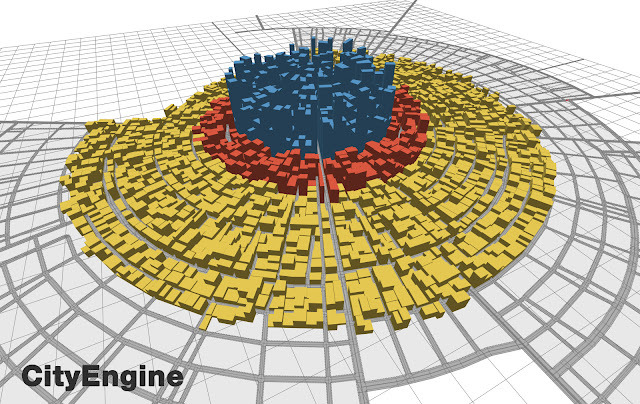 ESRI’s City Engine not only is a great urban generator, but it also provides the ideal approach for turning the 3D virtual city into an urban modelling tool. Procedural modelling visualizes the results of mathematical models on a 3D Environment and simulate the changes real-time, providing all the necessary features for testing the consequences of Urban modelling theories onto the physical form of the urban environment. I am very excited to have this first paper published in the CASA UCL webpage. 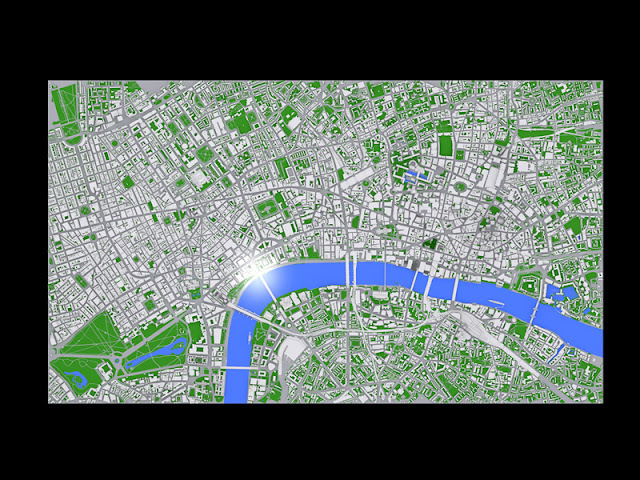 In this paper we describe the development of projects which aim to explore the use of procedural modelling as a complete toolkit for building interactive visualizations of urban modelling theories. We will use three case studies, starting with the original von-Thunen model, a generalization of von-Thunen using multiple centres and finally the standard dynamic retail model by Wilson and Harris. 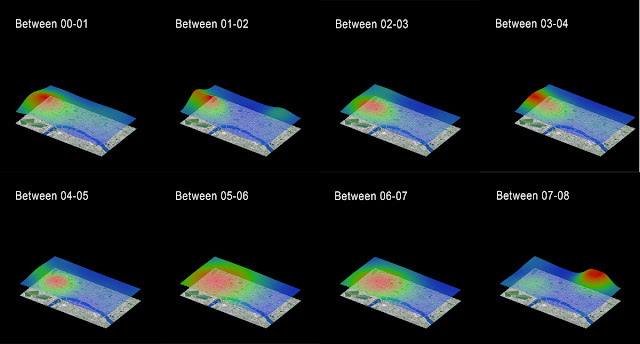 We will discuss the advantages and limitations in using ESRI’s City Engine and the use of interactive techniques, to visualize and explore classical and contemporary urban modelling theories, by introducing spatial interaction and spatial dynamics within the simulation of a 3d city. In this framework, we provide a guide for developing urban models to aid better analysis and understanding of the urban environment through 3d urban visualizations, complexity theories and interactive systems. 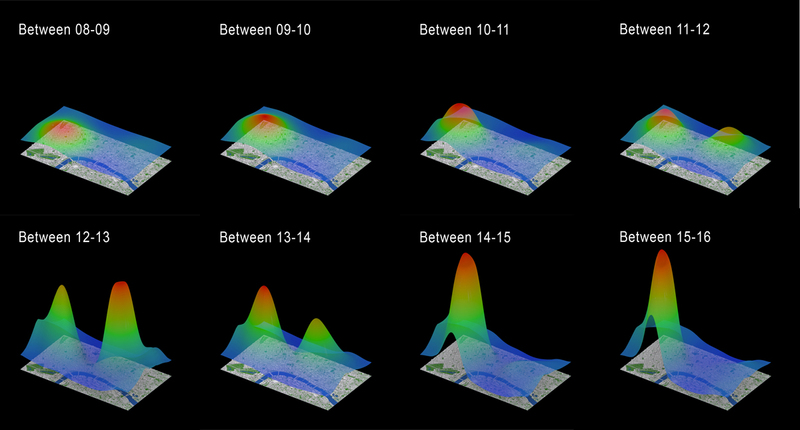 This paper presents work conducted within the context of the MRes in Advanced Spatial Analysis and Visualization. Supervisor professor: Dr. Andrew Hudson Smith. I will soon publish a brief tutorial.